So Many Dynamos is shorthand for the cast of dedicated characters who are employed by the Oakland Museum of California. 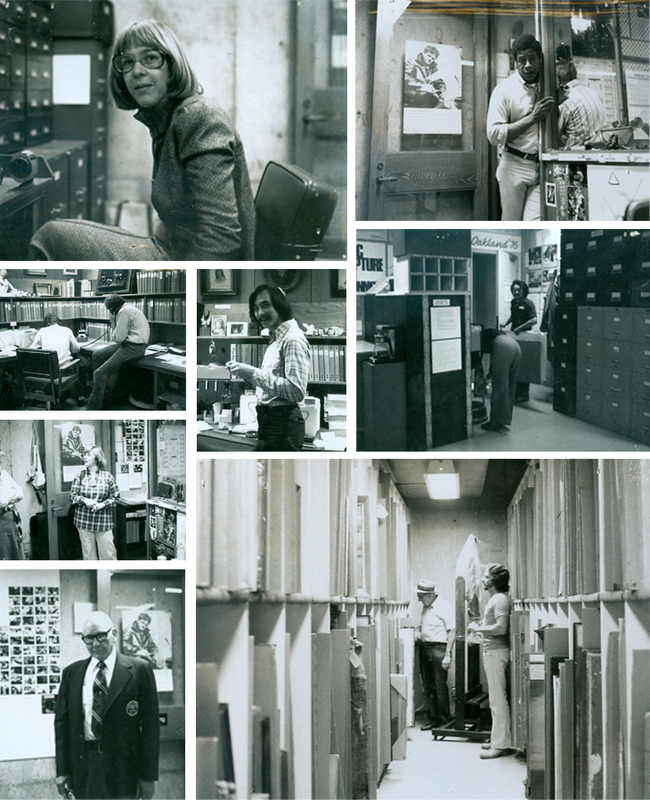 This project is a tribute to OMCA staff, past and present. Between the art, science, and natural history departments, OMCA has a staff of about a hundred people. Some of these employees do traditional museum jobs: they curate exhibitions, write grants, and lead school tours. Other positions are less top-of-the-mind, even to a museum aficionado. We have colleagues who tend the fish in the koi pond, manage our audio collection of California sounds, tweet and ping online, and install exhibitions at the Oakland International Airport. The Museum would be permanently closed without security personnel, and the gardens nothing more than concrete dirtboxes without the gardeners. The staff are the heart of the Museum. This is especially true at the moment, as OMCA undergoes tremendous changes. First, the Museum is changing its relationship with the City of Oakland, and second, the Museum is adopting an innovative structure that will make it a more interdisciplinary institution—an institution poised to tackle the role of a public museum in the twenty-first century. Below are short videos produced by artist John Hattori. 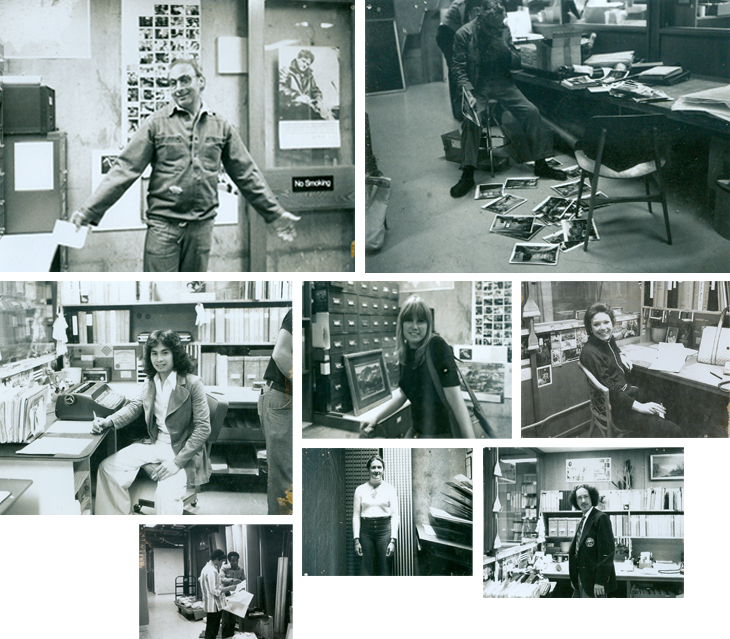 Each video focusses on a past or present OMCA employee. Starring, in order of appearance: Cynthia Taylor, Rachael Zink, Kevin Davis, and Tom Law. 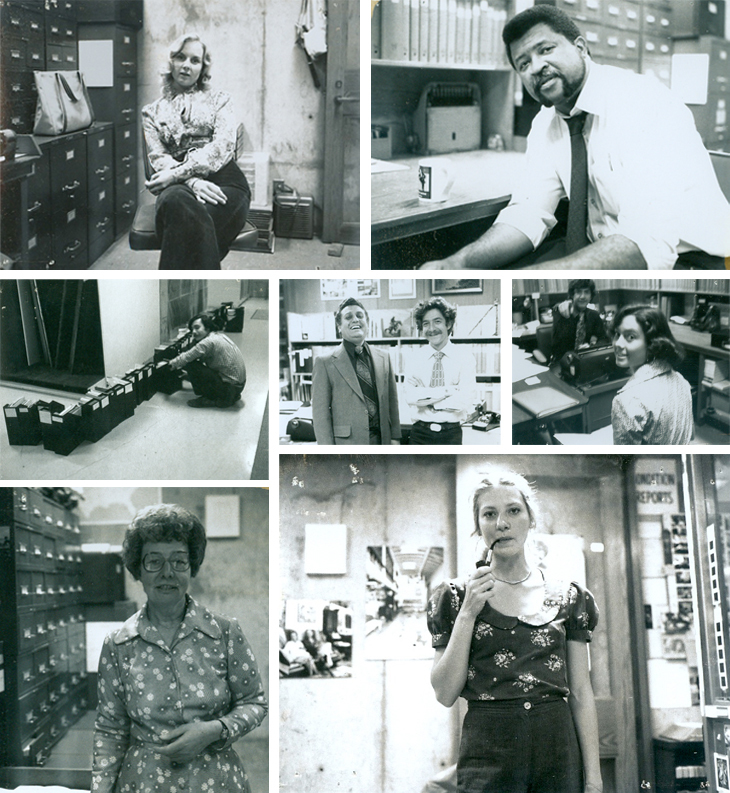 Following the videos are still images from a dusty album of polaroids we found in our office, labelled "Art Department Staff 1978-1980." And last, link here to a group photo of OMCA staff, circa 1995. We recognize a few faces, but help us out. Identify who you can and send us the names, and the stories. All comments welcome.